CNC machined from billet aluminum alloy (no die casting here). When you hold these in your hand, the top quality will immediately be evident. Anodized silver. 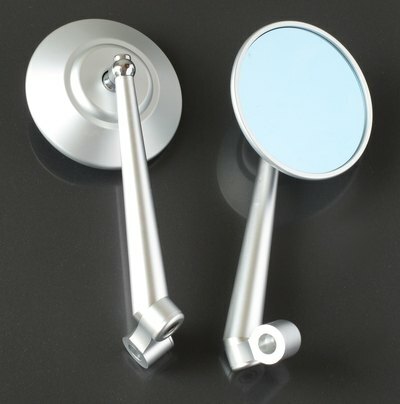 3 1/4" round blue tinted convex glass mirrors offer a non-glare widened angle of view. Arm length is 150mm.